Recently we wrote about the important topic of contraindications and indications for massage. In this post, we’ll further examine common contraindications that many massage therapists come across throughout their careers. For those of you that don’t know, contraindications are situations where continued treatment would be more detrimental than beneficial, and, therefore, shouldn’t be continued! But first – Possible Contraindications Rule 101: when in doubt, don’t! Adhere to this simple rule and you could save your clients – and yourself – a lot of grief. Muscle ruptures or tears are usually caused by sudden movements or extreme stress on the muscle. Muscle ruptures are likely to bleed for 48 to 72 hours after the injury takes place. All tissue surrounding the area will be inflamed and sensitive and hence should be a designated no-go area. Tendon ruptures are sudden, painful and can frankly be awful. Under no circumstances should massage be applied to an area where a tendon has recently ruptured. Surgery is sometimes required with complete or partial tears. Even with minor tears, the area will still be highly sensitive and should not be touched until well into the healing process. Whether the skin is burnt through sunburn, friction, fire, hot water or extreme cold, the outcome is the same. It’s painful. The skin will be damaged, swollen and should not be touched. Attention, please! If someone is suffering this rare but potentially lethal condition, you MUST NOT massage them. Thrombosis occurs when a blood clot is lodged in a vein (commonly in the calf muscle) and can cause a deep, sore ache. If you massage this area, there’s a chance that the clot could dislodge, travel up the veins and damage compromise the heart. Don’t go there. 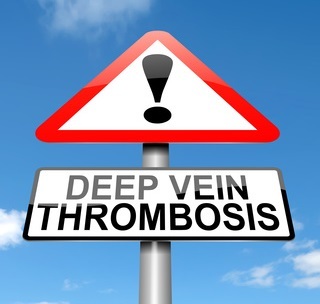 – thrombosis should be treated as a medical emergency with appropriate medical attention obtained ASAP. This odd-sounding condition is where a contusion or muscle rupture has begun to calcify. This means it has started to lay down bony tissue. Unfortunately, massage will make the damage worse, so it’s best avoided. Any massage student will know that the periosteum is the sheath that surrounds the bone. When it becomes inflamed (the ‘itis’ bit), it is known as periostitis. If you massage around the area where someone is suffering this condition, you will likely cause further irritation. There’s a good chance you can still massage nearby muscles, but do not massage directly over the area of the inflamed bone. 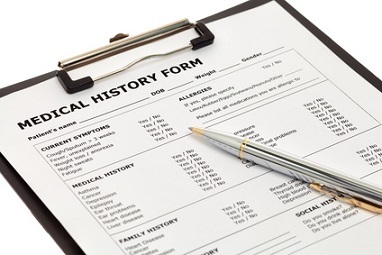 This topic is yet another reason it is essential that every client completes the necessary paperwork prior to his or her massage session. They can inform you of any injuries, pre-existing conditions or surgeries – including artificial vessels implanted through surgery. The rule is simple: anything that is implanted through surgery should be avoided when it comes to massage. If, while massaging a client, you come across any lumps or bumps that you or your client are unsure about, best to leave it alone. Often these lumps will be benign, formed by either a muscle spasm or fatty tissue. However, if it happens to be more sinister, it’s best to leave it well alone and let your client seek the appropriate medical assessment. 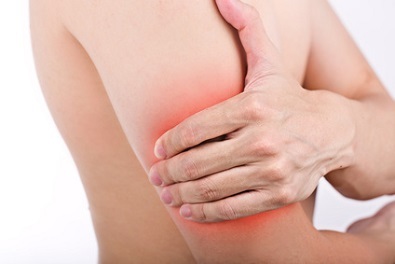 Bursitis can occur in many areas of the body. As the name suggests, it is an inflammation of a bursa – a small sack of fluid that exists between a tendon and bone at a joint. Sometimes the bursa can become inflamed because of injury, infection or due to an underlying rheumatic condition. You can suffer from bursitis at various points around the knee, ankle, hip, shoulder or many other areas of the body. Despite the fact that circulation eventually clears the inflammation, rubbing the area will only irritate it and make the condition worse. Rheumatoid arthritis is another inflammatory condition. However, rheumatoid arthritis is different from bursitis or tendinitis as it is an autoimmune condition, rather than something caused by movement. Just remember that anyone with an inflammatory condition should not be massaged. Leave it alone! Don’t go there. Play it safe. If you want to take risks, push for a promotion, try skydiving, surf in shark-infested waters at dusk or ask that person you can’t stop thinking about on a date. But don’t go prodding questionable areas of the human body while saying a quick prayer and crossing your fingers (or toes)!